ELITE TOOLS AND EQUIPMENTS is one of the celebrated Manufacturer, Exporter and Supplier of Industrial Products. The durable products range offered by us includes Press Tools, Blow Moulds, Precision Molded Products, Press Components, Die Casting Tools, Jigs & Fixtures and many more. Our products range caters to the requirements of several industries like Automobile, Appliance, Equipment Manufacturing, Electronic, Rubber and Leather Industries, Packaging Industries and many more. 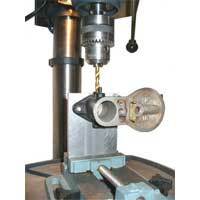 Integrated with advanced machinery, the manufacturing unit enables us in developing flawless array of Press Tools and. Further, we have a team of quality executives, who keep a rigorous check on the products at each stage of production process. 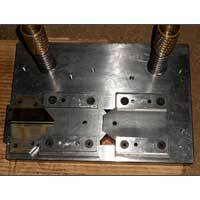 We also avail CAD Facility for the flawless designing of the array of products. Owing to the faultless designing of the products, we have also garnered a huge clientele base with prominent names like Light Alloy Products, TI Metal Forming, Lucas TVS Ltd, Parryware Rocco, Bader Al Mulla Bros and Co, Sundaram Dynacast and so on. Today, we are acclaimed as eminent and Die Casting Tools Manufacturer and Exporter from India.